Pictures On Walls group show opens tomorrow night in Stockholm. 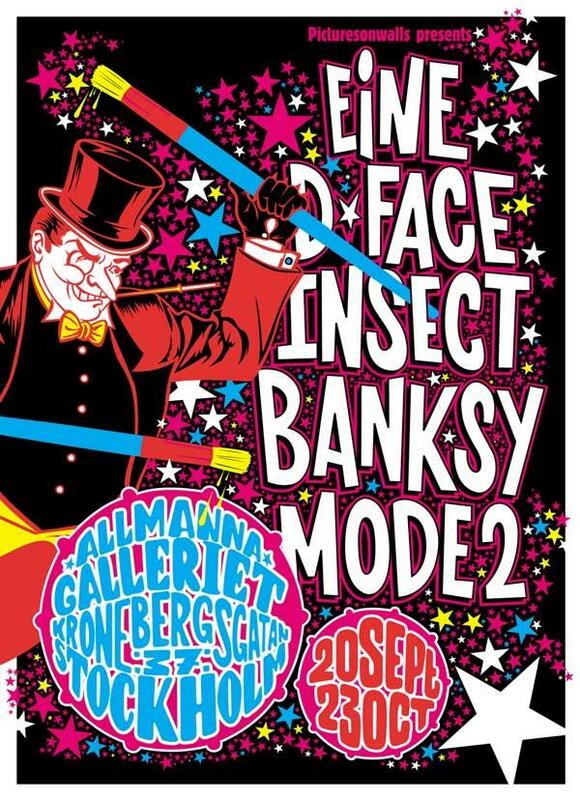 The show features work from Eine, Banksy, Mode 2, Jamie Hewlett, Insect, D*Face and many of the other artists that work with pictures on walls. The show will feature new originals artworks and prints. The show runs until the 23rd of October.